Tres Hombres lined up for this year’s festival! 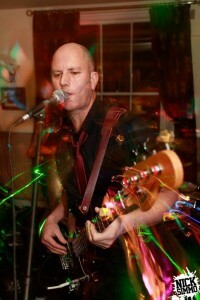 Tres Hombres are a 3 piece power rock band, who play all over Kent. They will be playing covers from the 60’s through to modern day, and will certainly be getting the crowd to sing along with their classic and modern covers! Pete, Luke and Dave played at the festival in 2013 and we are glad they join us once again! I caught up with the band and posed a few questions to them about their music and the festival.. Welcome back to Festival in The Park! What are you looking forward to this year, and what is special about the festival? Yep, we played in 2013 , loved the helpful friendly stage crew that gave up there time for this well run event and of course it’s fantastic to sound even, a little bit great with the excellent sound guys on board. Last time we played a local scooter club came to support the band which in turn added to the event, it was also nice for our families and friends to watch us in the sunshine. For people that have not had the pleasure of seeing Tres Hombres perform, what can people expect from your set? A fun fuelled singalong pop/ rock set with all the favourites. Tell us a bit more about Tres Hombres as a band? 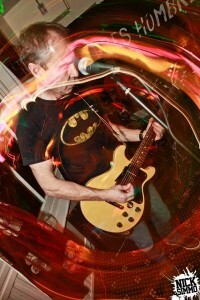 What are your musical influences? 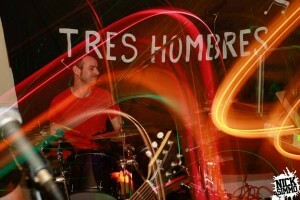 Tres Hombres are a 3 piece band that clicked from the first 4 bars we played together. We all like The Who,Kinks, Stones,The Jam,AC/DC, and we like to Funk! And this is our musical backbone, so that’s what we deliver. We want kids to see bands and, you don’t have to great but you will have a great time to inspire and make some friends for life, that’s what it’s given us. Of course it’s important! Bands get lots of exposure and in return kids and the public get to hear all the fantastic local talent, which otherwise is just reserved for the local pub scene on the most part.